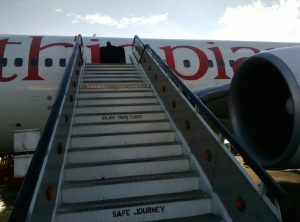 Last month, Ethiopian Airlines announced that the Ethiopian government had decided to create a new Aviation Holding Group that would include the airline as a centre point. .. (the) new Aviation Holding Group with various diversified aviation strategic business units like: Ethiopian Airports Enterprises, Passenger Airline, Cargo Airline and Logistics Company, Ethiopian Aviation Academy, Ethiopian Inflight Catering Services, Ethiopian MRO Services, Ethiopian Hotel and Tourism Services etc. It will promote customer services by a marriage of passenger inflight experiences with service on the ground at Addis Ababa, Ethiopia. The model seems to be along the lines of Dubai, and is one that Kenya Airways management has lamented about the need to also have at Nairobi – and getting Kenya’s national airline aligned with other sectors of the airport and city for Nairobi to be a true aviation hub. 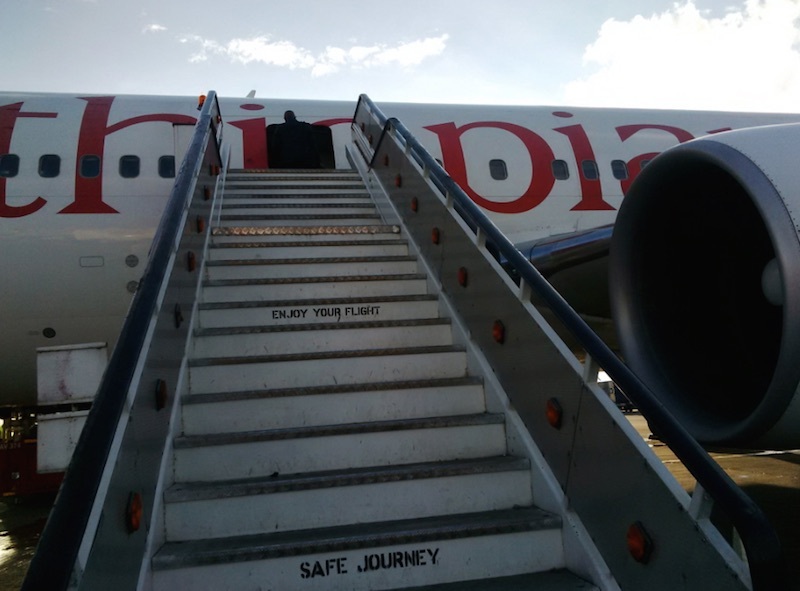 The ultimate aim is to upgrade the customer experience at the airport to meet global standard and thereby making ADD (Addis) airport the best connecting hub in Africa. The merger, which is said to be requested by the leadership at Ethiopian Airlines, gave the Group a mandate of providing airport services without discrimination including constructing, expanding, maintaining and managing airports, according to its establishment regulation. Established with an authorised capital of 100 billion Br, the Group was formed after the approval of the regulation by the Council of Ministers. Before the merger, a committee chaired by Sufian Ahmed, an adviser to the Prime Minister and Tewolde, made a feasibility study to draft the regulation. Founded in 1945, Ethiopian Airlines is said to be sub-Saharan Africa’s largest carrier with more than 95 international and 21 domestic destinations. In 2014/15, Ethiopian Airlines earned a net profit of 3.5 billion Br, which makes it among the highest profit earning state-owned enterprises in the country. During the same period, the Airports Enterprise also netted a profit of over half a billion Birr. One of the major goals of the merger of the two state-owned enterprises is also raising the efficiency of the airports and profit. This entry was posted in Ethiopia, Kenya Airways, M&A on August 16, 2017 by bankelele.